In June 2016 Orbiton’s emergency service was contacted by Statnett SF. 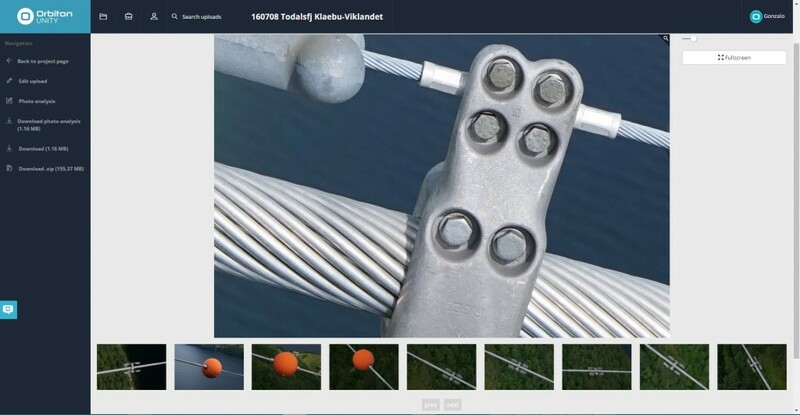 A transmission line spanning Langfjord needed immediate inspection. 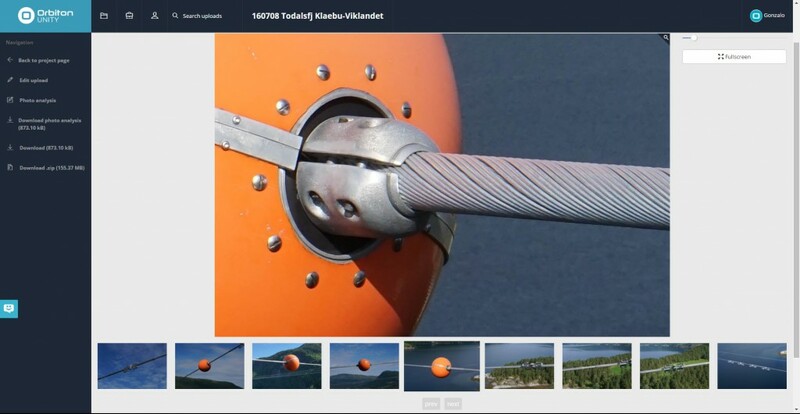 Orbiton mobilized one of its RPAS operators who – due to the importance and immidiacy of the assignment – chose to make use of a private plane to get to the operation area near Molde as quickly as possible. 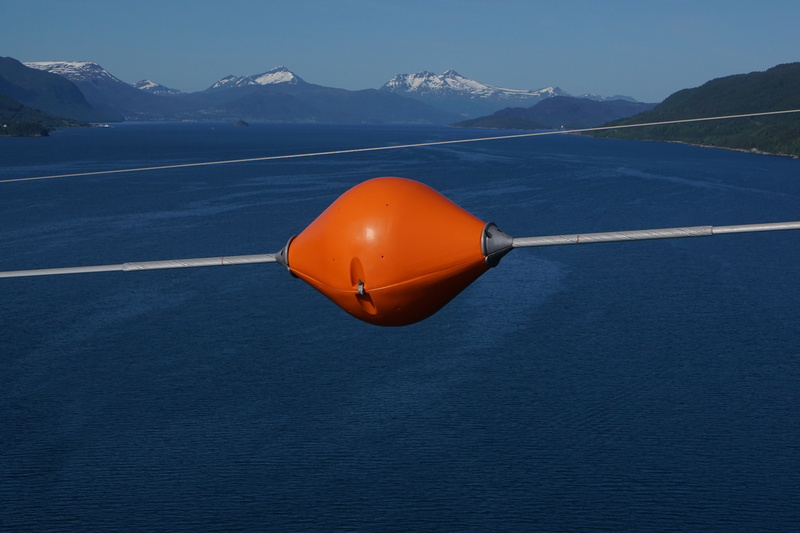 The mission consisted of making remote visual inspection of markers along high voltage power lines crossing Langfjord. Statnett wanted to assess the state of the markers and possible wear on the cables themselves. Orbiton introduced Statnett to a new and highly efficient inspection method using drones. 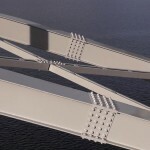 The inspection in Langfjord was so successful that Statnett chose to use Orbiton and the same methodology to inspect several other spans near Sunndalsøra during the summer of 2016. 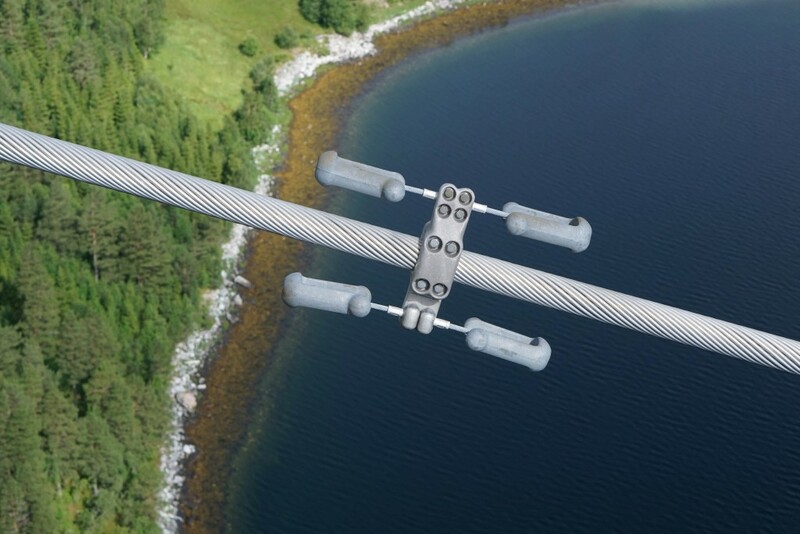 For years, Statnett – like many other utility companies, both in Norway and abroad – had challenges finding a satisfactory method for inspection of long high voltage cables over water. Full scale helicopters have shown, because of HSE, to have major limitations for this type of assignment. In order to obtain data of satisfactory quality, the sensor in use has to come fairly close to the transmission line. One also has to calculate a large margin of safety due to wind and weather, as well as electromagnetic fields. This means that manned vessels need to keep a safe distance, making it difficult to get close enough. Drones are therefore particularly suitable for this type of mission, even though some challenges still remain – requiring excellent equipment and a highly skilled crew. The distance from the pilot to the drone – as well as electromagnetic interference from the high voltage line – should not be underestimated. Each image was GPS-tagged and uploaded to Orbitons proprietary software solution, Orbiton Unity ™. In the portal, the geographical position of each image is shown on an interactive map and a detailed analysis can be made using different tools. Orbiton has developed it’s own methodology for this type of mission, where safety is the main priority. 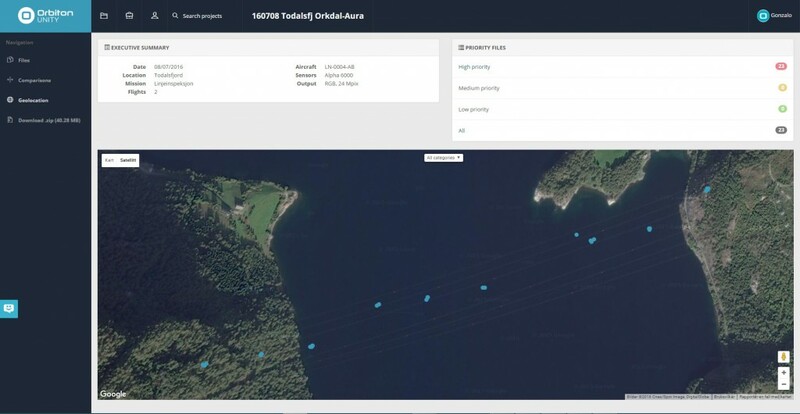 Orbiton is probably the first company in Norway to use this method of working with drones for inspection of fjord spans. 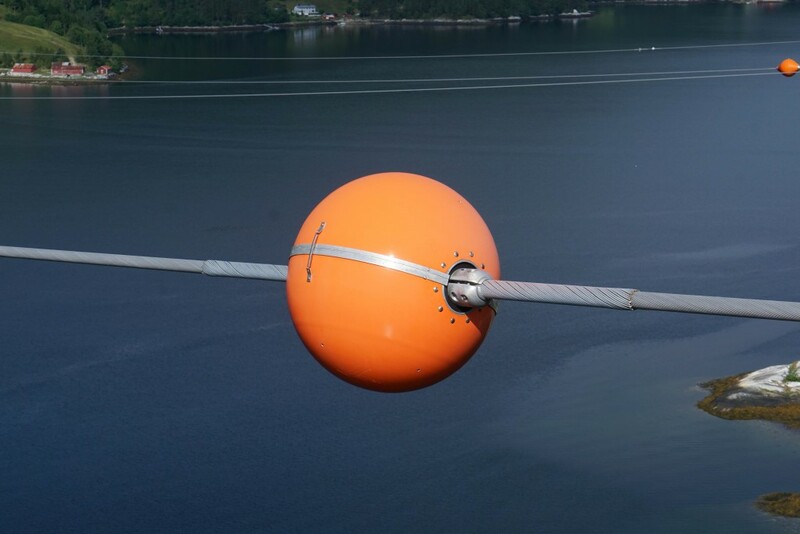 Inspection of transmission lines crossing bodies of water is a very challenging type of drone inspection, one that requires a high degree of synergy and communication between drone pilot and sensor operator, as well as robust training programs and operational procedures.